The label on your product is the most important document you produce. Ask any customer; it is often the only communication they have with you. This book is about getting your labeling and product information right, and that is more important than getting customers to buy your products. It is about ensuring that they buy them again, and again. 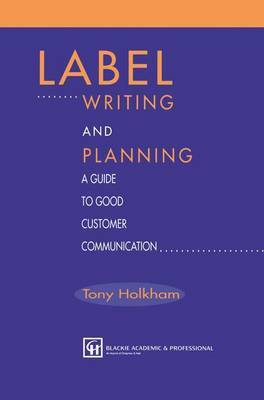 Written primarily for the fast moving consumer goods industries such as food, chemicals, cosmetics and health, this book is also essential reading for anyone involved in label writing and design, or product information in any context. Tony Holkham is a consultant providing expertise to a range of industries. He has written in-house labeling manuals, published articles and runs training courses on the subject.